The Doctor and Clara are invited on board the first ship to arrive at the scene — the Church of the Papal Mainframe, a space church headed by Mother Superious Tasha Lem, (Orla Brady) an old acquaintance of the Doctor. Tasha states that the Church has secured the planet with a force field and that the message instills fear into all who have heard it, then asks the Doctor to explore .On arriving, they find a town called Christmas that is surrounded by a truth field that prevents anyone from telling a lie. The message’s origin is quickly identified as a crack in reality in the church tower; this crack is “scar tissue” from the cracks originally closed when the Doctor rebooted the universe (“The Big Bang”). The language ‘is Identified as Gallifreyan and translates as : “Doctor who?” (the ‘first question’ in “The Wedding of River Song”), repeating endlessly. He discovers that the Time Lords, are using the crack in the universe and calling to him for help, from the pocket universe in which Gallifrey was trapped (“The Day of the Doctor”), from which they wish to escape. However, if they escaped this would also trigger a renewal of the Time War as the alien species gathered above descend to destroy them, and Tasha states this will not be allowed to happen. 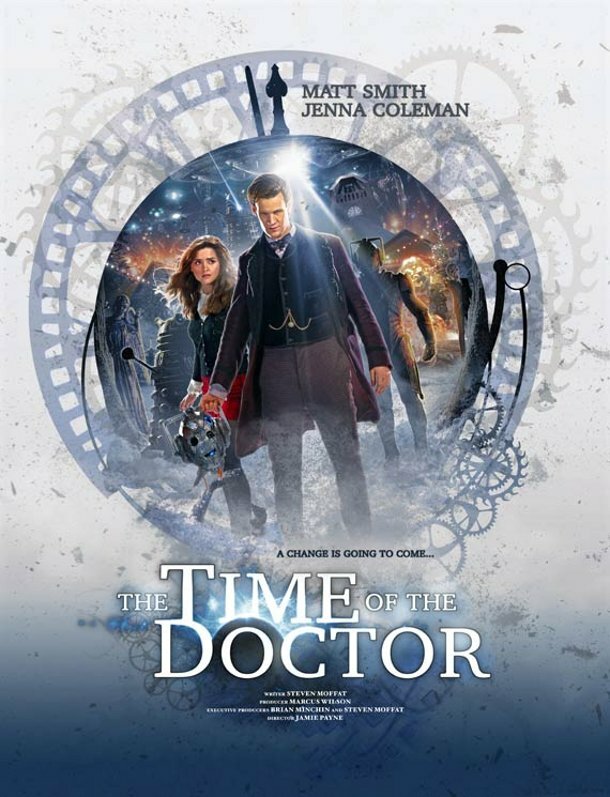 The Doctor then discovers he is on the planet”Trenzalore”, where he will one day die (“The Name of the Doctor”). Then Clara gets transported home while the Doctor remains on Trenzalore for 300 years defendIng the planet from the aliens overhead, creating a stalemate where he cannot leave without sacrificing his home planet and its people. The Doctor reveals that he has already used all of his twelve possible regenerations, once his incarnation who fought in the Time War (War Doctor) and the Tenth Doctor’s aborted regeneration (“Journey’s End”) are counted. He is therefore in his final body and can no longer regenerate, and is instead visibly aging. Regarded as one of the most influential German film directors of the silent era, the German film director Friedrich Wilhelm Murnau was born 28th December 1888. He was also a prominent figure in the expressionist movement in German cinema during the 1920s.Born in Bielefeld, Murnau was greatly influenced by Schopenhauer, Nietzsche, Shakespeare, and Ibsen plays he had seen at the age of 12, and made friends with director Max Reinhardt. Murnau also served as a company commander at the eastern front during World War I, surviving several crashes without any injuries. 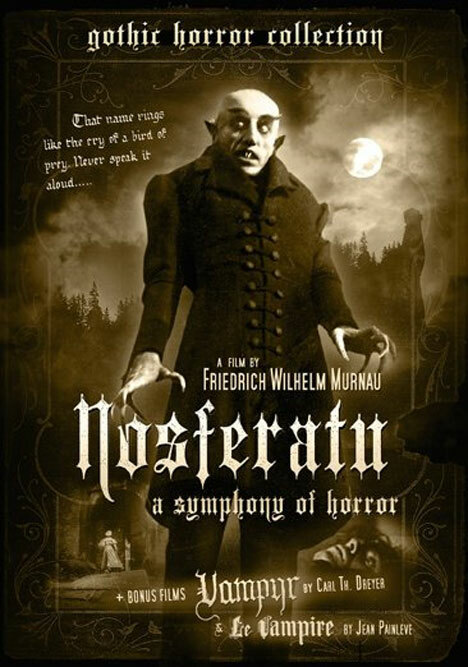 Murnau’s best known work was his 1922 film NOSFERATU an adaptation of Bram Stoker’s Dracula. Although not a commercial success due to copyright issues with Stoker’s novel, the film was a considered a masterpiece of Expressionist artwork. He was also known for his work with the 1924 film The Last Laugh and his interpretation of Goethe’s Faust (1926). He later emigrated to Hollywood in 1926, where he joined the Fox Studio and made three films, including Sunrise (1927), Four Devils (1928) and City Girl (1930).Murnau travelled to Bora Bora to make the film Tabu in 1931 with documentary film pioneer Robert Flaherty, who left after artistic disputes with Murnau who had to finish the movie on his own. A week prior to the opening of the film Tabu, Murnau died in a Santa Barbara, California, hospital on March 11, 1931, from injuries he received in an automobile accident that occurred along the Pacific Coast Highway near Rincon Beach, south of Santa Barbara.Although some of Murnau’s films have been lost, most still survive. The American comic book writer editor, actor, producer, publisher, television personality, and Founder of Marvel Comics, Stan Lee was born on this day 28th December in 1922 in New York City. As a child Lee was influenced by books and movies, particularly those with Errol Flynn, He was also A voracious reader who enjoyed writing as a teen. During his youth he worked such part-time jobs as writing obituaries for a news service and press releases for the National Tuberculosis Center; delivering sandwiches for the Jack May pharmacy to offices in Rockefeller Center; working as an office boy for a trouser manufacturer; ushering at the Rivoli Theater on Broadway; and selling subscriptions to the New York Herald Tribune newspaper.He graduated high school early, at age 16½ in 1939, and joined the WPA Federal Theatre Project.Lee became an assistant at the new Timely Comics, which evolved into Marvel Comics. He made his comic-book debut with the text filler “Captain America Foils the Traitor’s Revenge” in Captain America Comics #3, This initial story also introduced Captain America’s trademark ricocheting shield-toss, which immediately became one of the character’s signatures. He graduated from writing filler to actual comics & two issues later. Lee co-created his first superhero the Destroyer. Other characters he created include Jack Frost and Father Time. Lee also supported using comic books to provide some measure of social commentary about the real world, often dealing with issues of discrimination, intolerance, prejudice, racism and bigotry. Lee became the figurehead and public face for Marvel Comics & made appearances at comic book conventions around America. He has also been an executive producer for, and has made cameo appearances in various Marvel film adaptations. In the 2000s, Lee did his first work for DC Comics, launching the Just Imagine… series, in which Lee reimagined the DC superheroes Superman, Batman, Wonder Woman, Green Lantern and the Flash.In 2006, Marvel published a series of one-shot comics starring Lee himself meeting and interacting with many of his co-creations, including Spider-Man, Doctor Strange, the Thing, Silver Surfer and Doctor Doom. In 2008, Lee wrote humorous captions for the political fumetti book Stan Lee Presents Election Daze: What Are They Really Saying?. Lee also collaborated with Hiroyuki Takei on the manga Karakuridôji Ultimo. In 2009, he collaborated with the Japanese company Bones to produced its first manga feature, Heroman, and In 2010 The Stan Lee Foundation was founded which focused on literacy, education and the arts, and In August 2011, Lee announced his support for the Eagle Initiative, a program to find new talent in the comic book field. He was inducted into the comic book industry’s Will Eisner Comic Book Hall of Fame in 1994 and the Jack Kirby Hall of Fame in 1995. The group released the singles “Fly Me High” and “Really Haven’t Got the Time” in 1967 followed by “Love And Beauty” & “Leave This Man Alone”. The Moody Blues were then offered a deal to make a rock and roll version of Antonín Dvořák’s New World Symphony, and although executives were initially skeptical about the hybrid style of the resulting concept album. Days of Future Past became one of the most successful pop/rock releases of the period, earning a gold record award. It takes place over the course of a single day & drew inspiration from the pioneering use of the classical instrumentation by The Beatles. It includes the songs “Nights in White Satin” & “The Sun Set” “Another Morning”, “Twilight Time”,”Peak Hour” and “Evening (Time To Get Away)”. The 1968 follow-up LP, In Search of the Lost Chord included the songs “Legend of a Mind”,”House of Four Doors”,”Voices in the Sky”, “Ride My See-Saw” and “The Best Way To Travel”. The 1969 album On the Threshold of a Dream contained the songs “In The Beginning”,”Lovely To See You”,”Never Comes The Day”,”Dear Diary” and “Lazy Day”,”So Deep Within You”,”The Dream”&”Have You Heard”. The band’s music continued to become more complex and symphonic,resulting in 1969′s To Our Children’s Children’s Children which was inspired by the first moon landing.and contained the songs “Higher And Higher” “Floating” and “Eternity Road” “Gypsy”,”Out And In” the two part “Eyes of A Child” and “Candle of Life””Sun is Still Shining”. and “Watching and Waiting”. the Moodies had a somewhat psychedelic style and progressive rock sound, the group next album was A Question of Balance (1970) & contained the songs “Question” and “Melancholy Man”. For their next two albums, Every Good Boy Deserves Favour (1971) and “Seventh Sojourn”the band returned to their signature orchestral sound.These contained the songs “Procession”, “Story in Your Eyes” “Our Guessing Game”,”You Can Never Go Home”, “One More Time To Live”, “My Song” and “Nice To Be Here”. The Album “After You Came” (1971) featured “Isn’t Life Strange ?” “I’m Just A Singer (in A Rock ‘n’ Roll Band)”,”Sojourn”,”Lost in A Lost World” “When You’re A Free Man”, “For My Lady”, and “New Horizons”. In late 1972, a re-issue of the five-year-old Nights in White Satin became the Moody Blues’ biggest US hit.The Moodies were also among the pioneers of the idea that a successful rock band could promote itself through their own label, so following the Beatles’ creation of Apple Records, they created Threshold Records. However it proved unsuccessful although They did lay the groundwork for other major acts to set up similar personal labels and distribution deals including The Rolling Stones’ own label and Led Zeppelin’s Swan Song Record label.In the spring of 1974, after completing a vast world tour that culminated with a tour of Asia, the group took an extended break and released a compilation album This Is The Moody Blues. Justin Hayward and John Lodge then released the album, Blue Jays, and a single, “Blue Guitar”. Mike Pinder released a album The Promise.” Edge produced two albums with guitarist Adrian Gurvitz, Kick Off Your Muddy Boots and Paradise Ballroom; Hayward composed the albums Songwriter, followed by Night Flight, Moving Mountains, Classic Blue, The View From The Hill and Live In San Juan Capistrano; Lodge released Natural Avenue; Pinder produced The Promise; and Thomas produced From Mighty Oaks and Hopes, Wishes and Dreams. In 1977, the group reunited and despite many problems The album Octave was released in 1978 contining “Steppin’ in a Slide Zone” & “Driftwood”. Around this time Justin Hayward enjoyed a solo hit with the song “Forever Autumn” from Jeff Wayne’s Musical Version of The War of the Worlds.The Moodies toured the US and Europe during much of 1979. The next album ,Long Distance Voyager,was released in 1981 and yielded two hits, “The Voice” &”Gemini Dream”. and the band embraced a more modern, less symphonic approach, while still retaining a lush keyboard-led sound. The next album The Present yeilded the singles “Blue World” and”Sitting at the Wheel”. In 1986 they released the album The Other Side of Life, containing “Your Wildest Dreams”which garnered a Billboard Video of the Year award,as well as the songs “House of Four Doors”, “Candle of Life” and “One More Time To Live” “Here Comes The Weekend”, “Rock and Roll Over You”, “Love is On The Run (From Me)”, “The Actor”, “Dawning is the Day”, “You Can Never Go Home”& “The Land of Make Believe”. The Moody Blues also performed live at the Birmingham Heart Beat Charity Concert 1986 which raised money for the Birmingham Children’s Hospitals, and also provided backup with the Electric Light Orchestra for George Harrison.The Moodies released Sur La Mer in 1988 containing the single, “I Know You’re Out There Somewhere”.